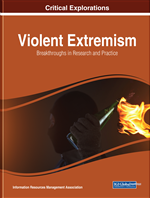 The merging of terrorism with the cyber domain introduces the potential for using computers and networked technologies in cyberspace to carry out extremist activities. Despite the current debate on whether cyberterrorism can be regarded as a real threat, this research will propose a method for classifying incidents as either cyberterrorism or cyber attacks. Although there have been no reported cases of Information Communication Technologies causing life-threatening situations or death, this research aims to show that cyberterrorism is not a negligible threat but instead a dangerous risk that should not be overlooked. This research will investigate the merging of terrorism with the cyber domain and present a multi-layered definition for cyberterrorism. This proposed definition is founded on the definition for traditional terrorism and incorporates elements of the international understanding of cyberterrorism. The research future presents a Logic Tester that uses Boolean logic to test the application of the multi-layered definition for cyberterrorism in terms of past international cyber incidents. The merit of the Logic Tester is presented through its application on a number of potential cyberterrorism scenarios, using the definition to classify these as either cyberterrorism or cyber attacks. The 9/11 United States terrorist attacks in 2001 left behind a legacy of effects. Death, destruction and devastation flowed from these terrorist attacks. The associated bloodbath and damage to critical infrastructure resulted in policy decisions around the world with the aim of preventing a similar onslaught in the future. Security at airports was heightened to new levels of control - additional security checks and carryon allowances were introduced. After the 9/11 attacks occurred, there was an outpouring of help from the emergency sector. Their efforts to save the injured and retrieve the dead were commendable. Tirelessly working through rubble and extreme conditions, the emergency services personnel consisting of police, firemen paramedics rushed in to help those trapped without considering the risks to their own lives. This tragic event brought a spotlight to the horror of terrorism. The implications of future attacks became a noteworthy issue. Colarik (2006) mentions that information and communication infrastructure plays a role in the advancement of the technological capabilities of terrorists. The technological advancement could serve as support to cyberterrorism, as well as being the target of attacks. Borchgrave, Sanderson and Harned (2007) discuss the Internet being used to support terrorism with functions like training, organisation, networking, recruitment and funding. Alternatively terrorists could also be targeting critical networked infrastructure as damage to such targets would have a huge impact. Such infrastructure, according to the United States Army Training and Doctrine Command (2006) supports everyday activities. Critical infrastructure supports critical services and interfering with such life dependant services can have a devastating impact on the defence and economic structure of a country.